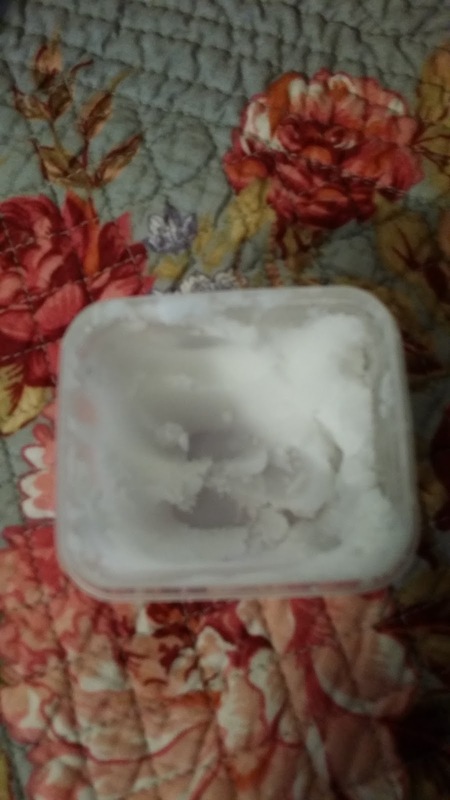 A simple homemade deodorant that WORKS! Finding a safe and effective deodorant can be a real struggle for many of us. I tried one after the other and honestly only found one that worked for my husband and me. Then they changed the packaging and the formula and I no longer like it. The biodegradable cardboard container is difficult to use, but I would manage it somehow if the deodorant worked. But it doesn't and the mess around the top of the tube just isn't worth it. Too bad. The original packaging and formula worked well, although it did stain lighter clothing. Again, I was willing to put up with that in exchange for not offending people with my B.O.! So what is this magic formula? I know you're dying to find out. It's quite simple actually. I place a small amount of baking soda in the palm of my hand and add an equal amount of coconut oil. I mix it into a paste and apply it under my arms with my fingers. Then I wash my hands. That's it. Safe, non-toxic, effective, and cheap! I even made up a batch in a small container to take with me on all these trips lately. My arm pits and I have never been happier! And nothing in this formula is going to give me breast cancer! Give it a try and let me know what you think. I was fortunate enough to have lunch with a Physician's Assistant at The Write Stuff conference in Bethlehem, PA in early April. We had the opportunity to chat about her job and this blog and we made a connection. In addition to being a PA, Rachel Berros is a writer. Please check out her website at www.rachelberros.com and follow her on Twitter @berrosrachel. Rachel graciously agreed to write a guest post for me about why it is important to have a primary care doctor or physician's assistant. If you're one of the many who believes it's not necessary, I encourage you to read on. As a young, healthy person interested in natural medicine, it is sometimes hard to see the need for a primary care provider. This is doubly difficult when following a healthy lifestyle and learning home remedies for common ailments. All one needs is a local urgent (UC) or emergent care department (ER) for those rare times home remedies are not enough, such as broken ankles or severe lacerations, right? Wrong. Urgent and emergent care centers care for ruling out life-threatening illness and treating short term issues, not your long-term health goals. They fix the urgent/emergent issue and then recommend follow-up with either a specialist or primary care provider. If home remedies are not sufficient, then having someone familiar with your health goals is vital. Commonly—mistakenly or not—clinicians believe patients are being seen for answers and solutions for their ailments. Medical providers use medications to give those solutions. If you prefer to explore alternative treatments such as physical therapy, medically directed diet changes, or other life-style adjustments, then the common ER and Urgent care provider will be limited in their ability to help you. You can set long-term health goals and save yourself time and frustration. 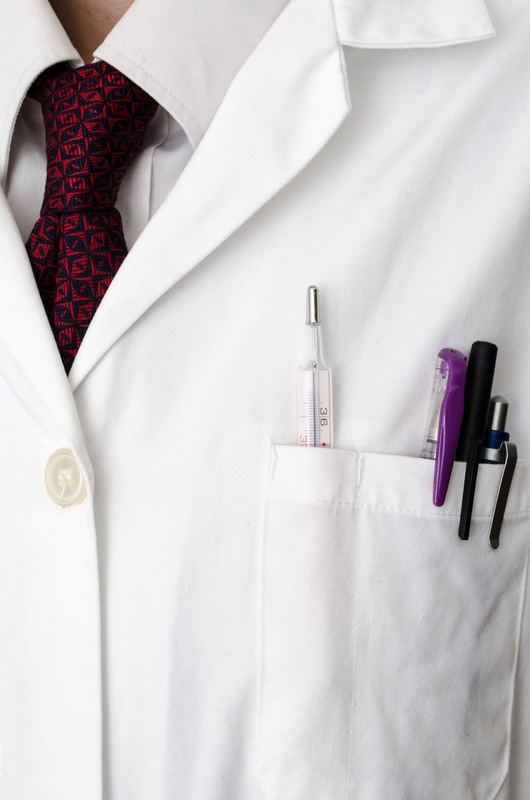 It’s common to see a different clinician each time you go to an ER or UC, which will require time and effort to have them understand your beliefs and desires. And almost no ER or UC clinician will discuss long term goals with you. But by having a single primary provider follow your progress, you can get regular recommendations to reach your goals. You can discuss and request more rarely performed studies. If you come in to an ER and complain of symptoms of long-term heavy metal exposure, most clinicians will not test you for it unless you have very obvious physical changes. Minor and vague complaints will not be investigated past ruling out immediately life-threatening conditions. A chronic provider will be able to tease out many other less likely options, and order those more unique studies, such as heavy metal and vitamin D levels. You can treat pain your way. Acute pain (lasting less than two weeks) will be evaluated and if a cause is found, it will be treated. If no specific reason is discovered, then a plan for follow-up and a small supply of pain medication may be provided. Back pain can be challenging as it is rare to get a definitive diagnosis during an ER or UC visit. A primary provider can order appropriate testing and review the results with you while working with you on your preferred means of pain control. Chronic pain should always be managed by a primary care or pain management specialist, not the ER or UC. Cost. Simply put, everything in the ER will cost more than it would through a primary care office. I'm heading out to vote in a little while. My husband just returned from doing the same and we were both discouraged to learn that, so far, voter turnout here in Ross Township in Allegheny County, PA was poor. In some ways, I get it. For many of us, this year's choices are dismal. Admittedly, in the past, I voted according to a single issue. That made it easy. However, I see a bigger picture now and can no longer depend on the voter guides of the past. I'm for candidates who are anti-Monsanto, et al and anti-fracking. I'm for candidates who are against abortion. Good luck with that, huh? Someone who stands for the right of unborn humans to get a chance at life and stands for the rights of existing and future humans to get a chance for healthier lives, free from the environmental and health risks of glyphosate, GMOs, and fracking. Yikes. So, I did my research and I'm off to vote. I'm registered with a party only because I want this opportunity to vote in the primaries. Otherwise, I'm independent and vote according to each candidate's platform. I know I will never find an ideal candidate who aligns with my hybrid political stance. But that doesn't give me an excuse not to vote. I hope you will not throw away the opportunity to vote, especially you women and people of color. 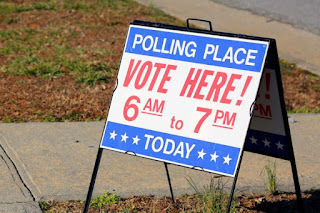 Our ancestors fought hard so we could safely walk into a polling location and make our vote count. Today, I'm voting for all of them and for the future. What about you? Did you vote in the primaries or will you be voting? If not, why not? Today is Earth Day. It's a day when people who might not give environmentalism a second thought on any other day of the year, tend to pitch in and do their part. They clean up parks and roads. They conserve water and/or electricity. They might carpool or walk. Yes, those things happen on April 22nd every year, or at least on the Saturday closest to that date. And that's a good thing. The environment can always use a boost in proactive awareness, don't you think? I have to admit, however, that as busy as I've been this month, I didn't even give Earth Day a thought. It wasn't until I logged on to Facebook that I even realized what day it was. I should be ashamed of myself. Here I am trying to lead all of you onto a path of environmental awareness and change and I was completely unaware. Wonderful. But it's not too late to do something about it. I think I'll take the opportunity to share a little bit about Earth Day with my middle grandchild. Her birthday's coming up and I think spending a day with this precious soon-to-be three-year-old at Phipp's Conservatory and Botanical Gardens would be simply perfect. They're doing a four-day Earth Day celebration, highlighting their butterfly garden. The thing is, it's never too early to start teaching kids about the importance of caring for the earth and its inhabitants. What about you? What special plans do you have to celebrate Earth Day/Earth Weekend? I'd love to hear all about it in the comments below. 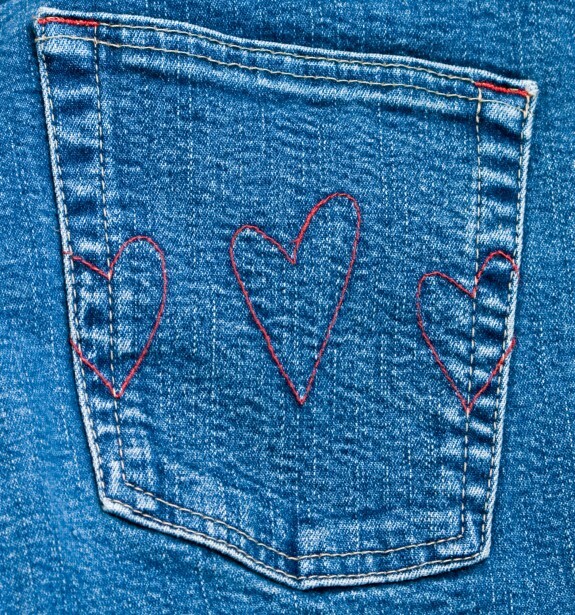 Do you know where your favorite pocket is? Life is full of pockets. We slip in and out of them unknowingly at times and look back and say, "Wow, I didn't even realize I'd moved on." We journey from experience to experience, emotion to emotion, good times, and bad. One of the definitions of pocket is: a small patch of something. We often hear of weather pockets. But today, I'm referring to life pockets. Those small, or not-so-small, patches of life that can thrill, confuse, anger, sadden, or energize us. I've been quite busy lately, in a good way. That's why I had to step away from the blog for awhile and deal with other aspects of my life. Spring tends to bring busyness with it for me, but this year my schedule was especially full. For those of you who don't know me well, I have a business called Speechless. I am a writer, editor, speaker, coach, educator, and voice-over talent. If you have little ones, you might be familiar with some of my work through iStoryBooks.co. I've written over 90 books for the iStoryBooks app. In addition, I narrate all of the English versions of their books under the name Maya Ray. So when your kiddos hear "Hi. I'm Maya. What's your name? ", it's my voice they're hearing. Anyway, that's just one aspect of my business and I've been hard at work completing 5 biographies for them the past couple of months (Jane Goodall, Rachel Carson, Sacagawea, Princess Diana, and Margaret Brown). Additionally, my writers' conference circuit began, starting with The Write Stuff conference in Bethlehem, PA April 7-9 where I taught 3 workshops. The next weekend, I was in Lancaster for Lancaster Christian Writers Super Saturday, a one-day conference. I repeated a workshop from the first conference. At the end of the month, I'll present 2 workshops at Writing Success 25 in Stoneboro, PA and less than 3 weeks after that, I'll travel back to Lancaster for the annual Pennwriters Conference, where I'll teach 3 more workshops. All together in this short period of time, I'll teach a total of 9 workshops, 4 of which are brand new. That's a lot of preparation. Throw tax day into the mix and maybe you can understand my brief hiatus. But what does this have to do with pockets? Everything. I was walking across campus at Lancaster Bible College on Saturday and I couldn't help thanking God for this time in my life. This pocket. It's my favorite one ever. As a matter of fact, I don't know if I've ever been happier. Leading workshops, teaching, writing, coaching... these are the things that make my heart sing. I feel incredibly blessed to be doing what I love. And I do not take it for granted. I know what it's like to hate a job. I vowed to myself back in 1978 that I would never work a job I hated ever again. I would never allow a boss to treat me like crap. I would never allow myself to be belittled or abused. I do not ever fail to thank God for the talents, abilities, and gifts He's bestowed on me. I know not everyone can say the same about their jobs. Some people are trapped. They need their jobs, despite the fact that they hate them. They wake up in the morning and dread the day ahead. I am so, so sorry if that is where your current pocket is. I hope that somehow you can find your favorite pocket in the midst of that kind of misery. Figure out what it is and crawl into it whenever possible. 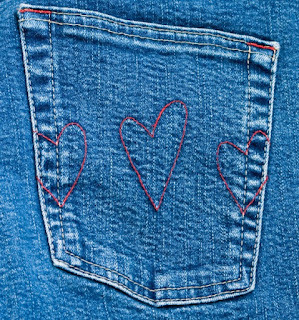 It's our favorite pockets that make the rest of life bearable or, if we're lucky, downright enjoyable. I'll be 59 next month. Numbers scare me. The thought of being 60 in another year freaks me out a bit. Yet, this is the best time of my life so far. Yes, I loved being a stay-at-home mom to my girls. Yes, I loved being a young wife. Yes, I loved my college years. But somehow, the second half of my 50s has been remarkable. And doing conferences and teaching classes for Carnegie Mellon's Osher program and leading an amazing writers' group is my pocket. It's where I feel most alive. What about you? Where is your favorite pocket? 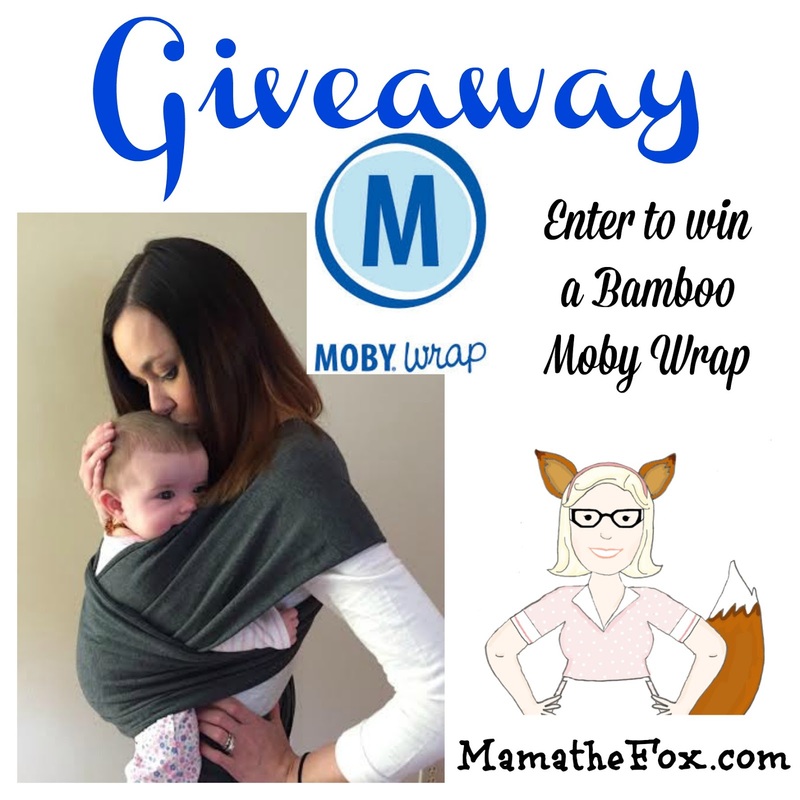 Bamboo Moby Baby Wrap Giveaway! Moby is a leader in the baby wearing community. With their soft and easy to use wraps, they provide many parents with their first baby wearing experience. At first glance, the length of the wrap can be intimidating, but it's really not that complicated. Check out the easy tutorials on YouTube. Without doubt, the tutorials will boost your confidence. To read more about the benefits of baby wearing (according to an occupational therapist) click here. 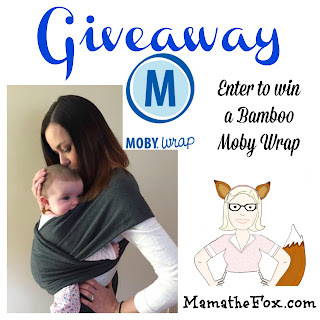 If you have not tried to baby wear yet and are intimated by trying it alone, MamatheFox suggests reaching out to your local BWI (Baby Wearing International) group. Most major (and some smaller) cities have a group of baby wearing pros who meet up on a weekly or monthly basis. You can go and talk to real baby wearing parents and let them teach you in person how to properly wear your child. You can typically borrow carriers, too, before you buy, making the process fun and easy. Giveaway begins at 12:00 a.m. (EST) on April 15, 2016 and ends at 11:59 on May 15, 2016. Open to US only. 18+. Green Grandma is on a brief hiatus. I will be back sometime later this month. I promise to deliver some good content then. There is plenty of information that is found in books as well as on the Internet. In fact, it seems as though people can become overwhelmed at the large amount of information available today. The abundance of information can make it difficult for people to learn about new products as well as established ones. There are a few tips to remember when it comes to making a product matter. A good place to begin when making a product matter is to make sure consumers know that a product is beneficial and needed. A particular drink may taste great, feature natural ingredients and be a healthy option. While it might not appeal to everyone, it may be a good option for college students and parents looking for a healthy alternative to sugary drinks. However, if people do not know about the benefits of such a drink, they might be unwilling or unable to purchase it at a store. Therefore, it is good to make a connection as to why a product or service is relevant for consumers, such as Miltek balers. There are numerous brands of balers on the market today that people are familiar with. One of the reasons people are aware of particular brands is the result of specific marketing. Some of the marketing done is performed at strategic times of the year. There are companies that highlight a product during a major sports event when it is known that millions of viewers will be watching television. Other companies broadcast the same commercial numerous times over the airwaves in order to have people think about their product or brand repeatedly. Both of these options are beneficial. There are other options that can be done as well, and it is up to an individual or company to determine what works best when it is time to highlight a product or service. When advertising is done well, consumers think about a particular product or service when they have a specific need that has to be met. A jingle, image, or commercial can be quite effective in communicating a message. This can result in satisfied customers. Part 3 of this series takes us to a day when apples no longer brown when cut. It's a dream come true for... someone, I guess. I always just added a little bit of lemon juice to keep them from browning, but why go natural when you can go GMO? Why GMO? The Arctic® apples , developed by Okanagan Specialty Fruits, Inc. are engineered to be non-browning. Woo hoo. 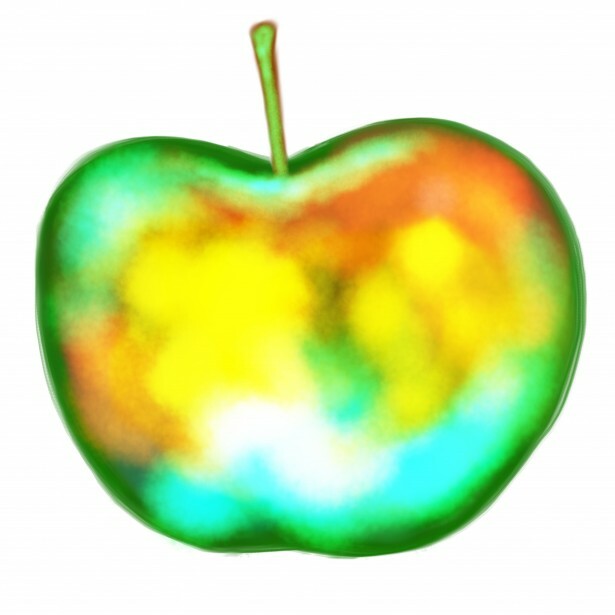 Here's the thing -- the reason apples brown in the first place is because of a natural enzyme. Remember the saying, "An apple a day keeps the doctor away"? Well, with these beauties, that will no longer be the case. Why? Well because these perfectly un-brown apples will no longer be able to fight off diseases and pests without that all important enzyme. Guess what that means? MORE PESTICIDES! Yep, you read that right. Unless you're buying organic apples, you and your family are ingesting more and more pesticide residue. And with these GM apples, it will only get worse. Initially, the USDA approved the apples, despite much opposition. They later deregulated them, so you won't see them in the stores just yet. They have, however, been approved by the FDA. It's just a matter of time. They'll be marketed to the fast food industry for those "healthy" alternatives to French fries and such. We can only hope that some of the companies who said no to Innate Potatoes will nix the Frankenfood apples as well. On the good news front, McDonald's, Wendy's, and Gerber have already said they won't be buying them. And neither will I.